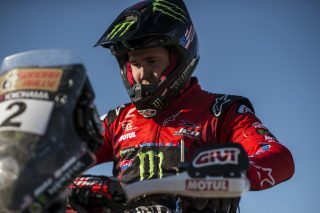 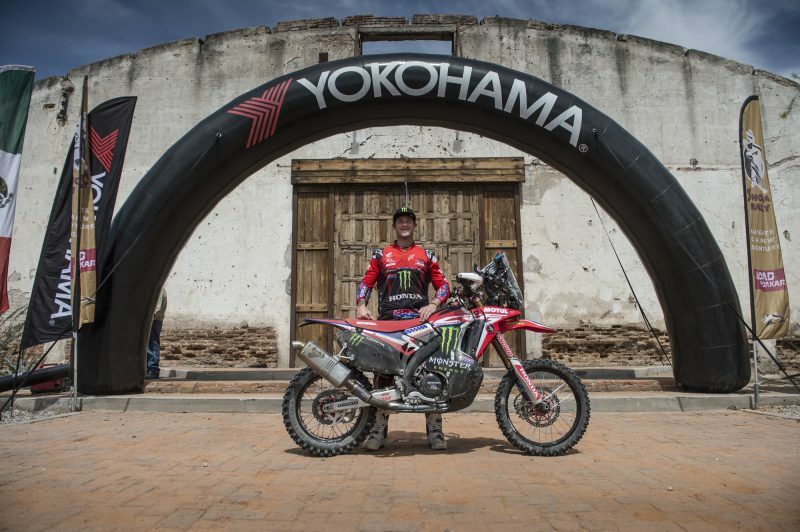 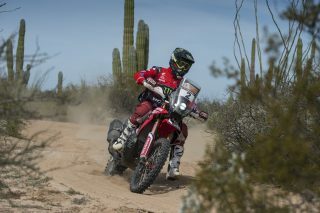 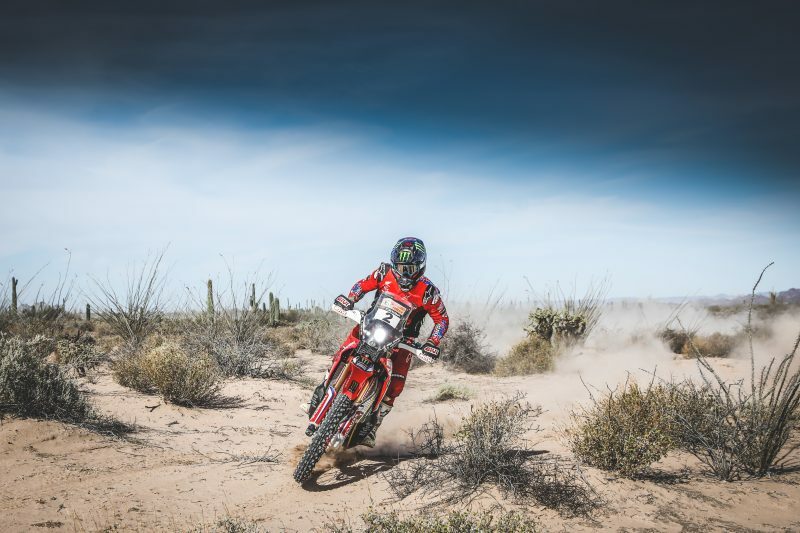 Monster Energy Honda Team’s American rider Ricky Brabec claimed victory in the Sonora Rally after dominating the race held in the desert of north-western Mexico. 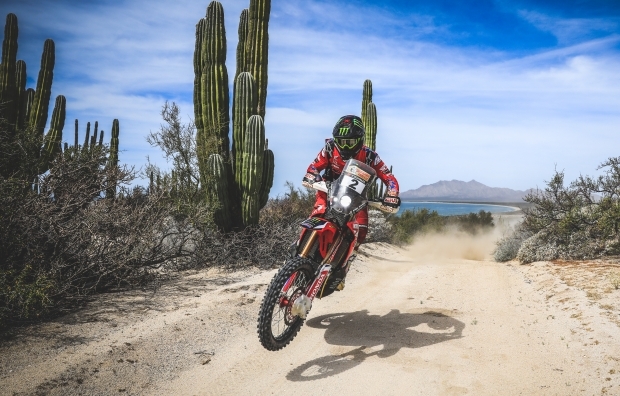 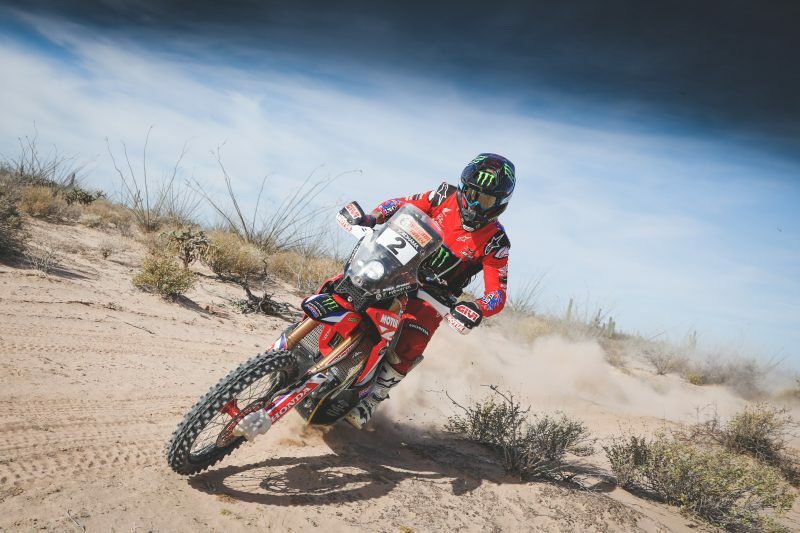 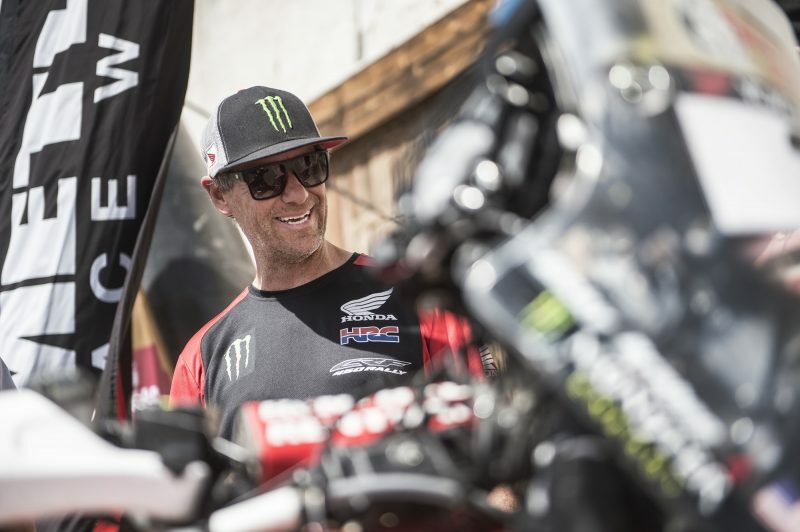 This is the second time that Ricky Brabec has clinched the trophy in the five editions of the promising desert race that takes place in the border region between Mexico and the United States near the Gulf of California. 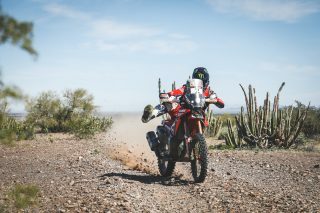 Over the five days of rallying, a total of six special stages were disputed clocking up more than 1,300 kilometres on a route from San Luís Río Colorado to Hermosillo. 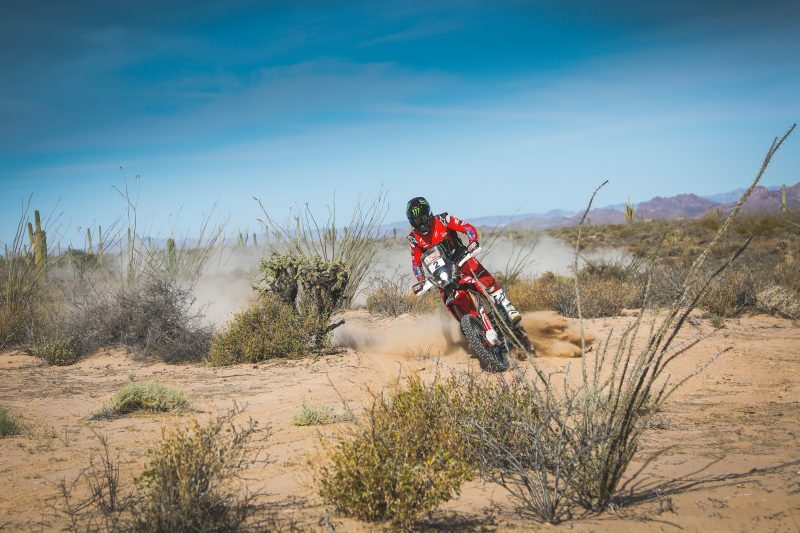 The race featured swathes of arid track, some of which had been broken up by the recent rain in the area, while others were stretches of more high-speed track. 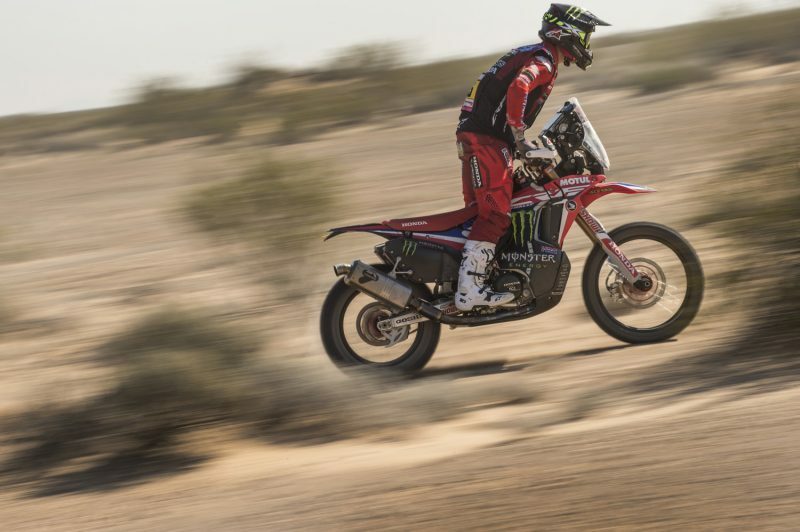 Furthermore, there were some 500 kilometres of dunes, fesh-fesh and camel grass to tackle. 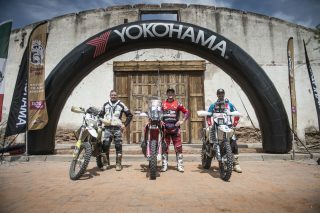 The rally offered a further opportunity to get to grips with the road-book in environments very similar to those experienced at the Dakar Rally itself. 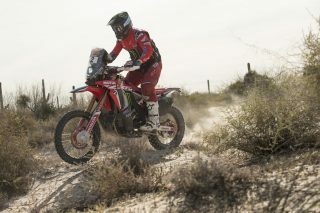 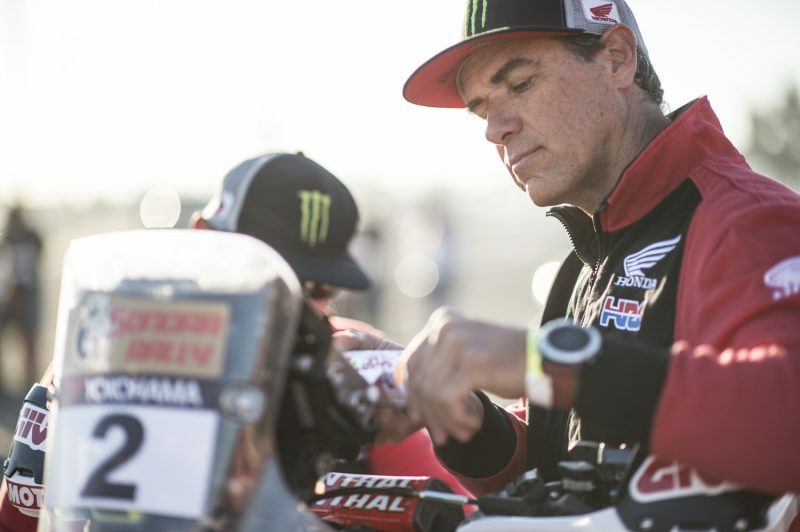 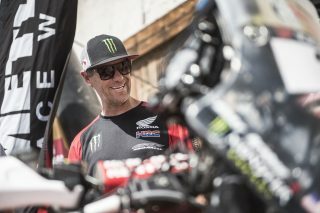 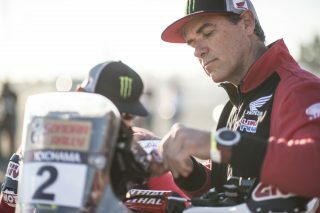 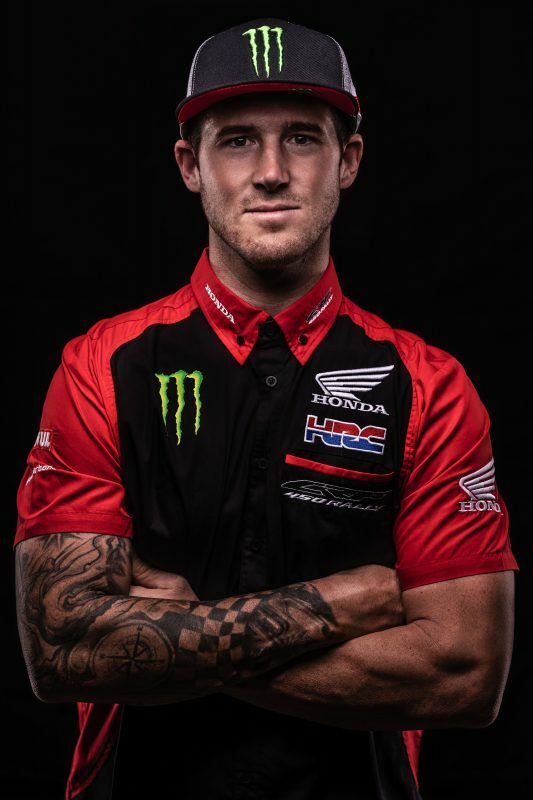 Brabec, riding the Honda CRF450 RALLY of the Monster Energy Honda Team, was supported in the endeavour by Johnny Campbell, the staff of JCR and American Honda. 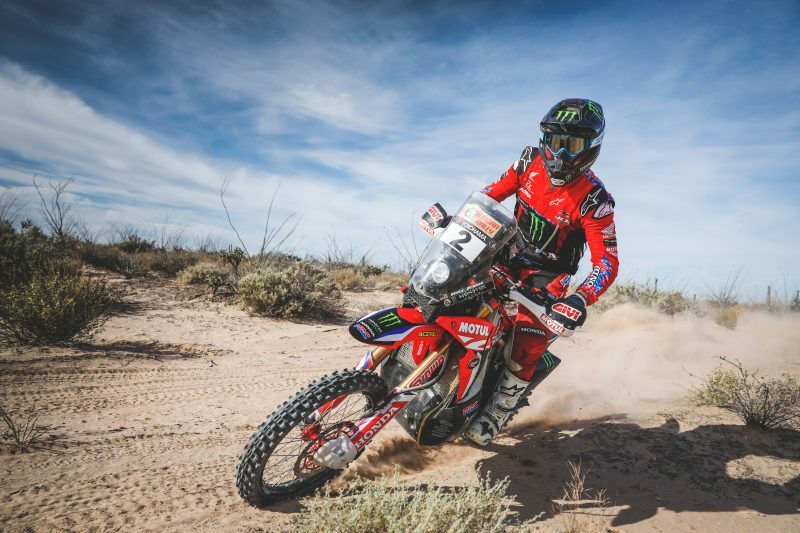 Ricky set the pace of the race from the start, grabbing victories in the first three stages, which opened a significant margin of more than half an hour over rivals. 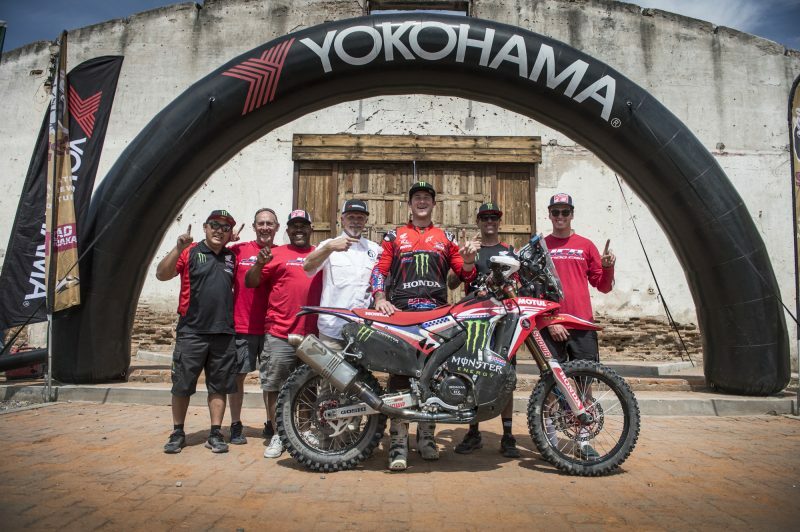 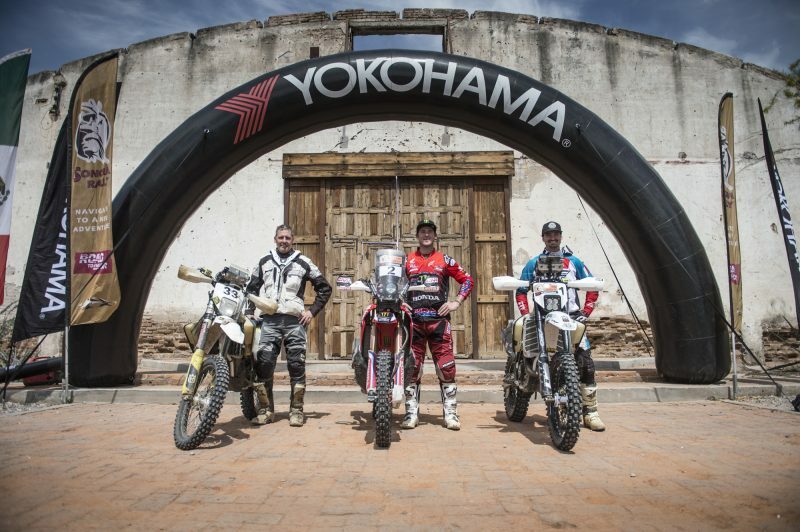 The American masterfully managed the two final days of rallying, before reaching the final finish-line in the Sonora region capital with a 37’15” deficit over the nearest second place rival. This rally was the first of the year for me so I was excited to just be able to ride the big bike again with some navigation. 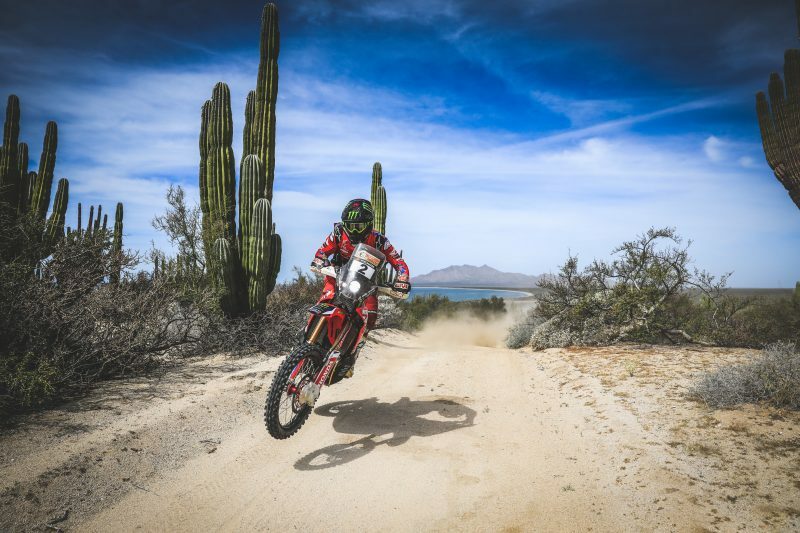 This desert to me is like home and very close from my home town so it makes it easy to show up with a small crew to race and as well to train. The terrain is sandy in spots with great dunes and a little more south is rocky hard pack, there’s a little of everything and for this I believe it’s proven training grounds.